The Torrontés grape is something new to me, and I love it. It's such an interesting and unique aromatic white grape. This particular wine comes from three Australian wine makers who travel to Argentina, the home of Torrontés, each year to produce wines. The Argentinian Torrontés grape is not to be confused with the Spanish grape of the same name, as genetic testing has revealed that it is likely more closely related to Muscat of Alexandria. Bright floral aromas, carrying plenty of rose petal and jasmine sit alongside a spiciness I really enjoy. It has a backbone of good acidity and a slightly firm, fine finish. South East Asian cuisine seems the natural partner for this wine. 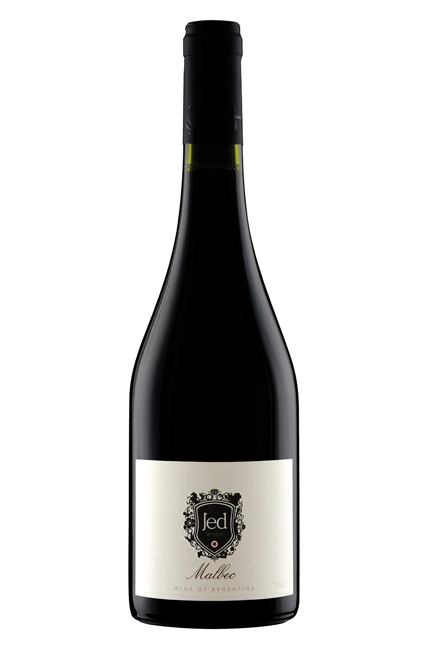 Jed's wines are made by three young Australian winemakers that fly to the Uco Valley, in Argentina's Mendoza region, each year to produce a variety of wines. Made in a medium bodied and very accessible style, that's great for everyday drinking. A red berry fragrance, with some hints of violet and a dusting of pepper. Ample, yet refreshing tannins make way for a well balanced finish. While I didn't taste this with food, I couldn't help but think about steak. ©C'est La Vino. Powered by Blogger.